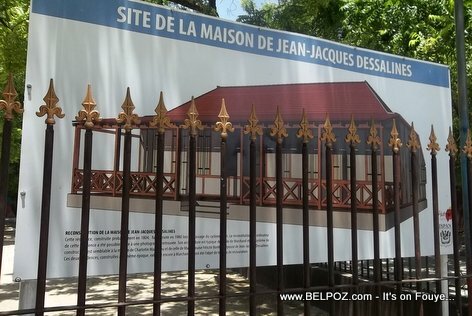 From what I gathered from the local residents, the original homes of Homes of Colonel Charlotin Marcadieu, Dessalines' wife Claire Heureuse, and two little houses owned by Emperor Jean Jacques Dessalines still exists in the city of Marchand. I took some pictures, I will upload them soon! JJ Dessaline's home was destroyed by a hurricane Allen back in 1980. The Haitian Government has a gate around the property and they will rebuild it back to it's original look. koté ti coco-rat pied sal sa yo de ka rétiré esclav yo nan pat zago blan Français? GREAT IDEA. Haiti should set up a committee to research and restore ALL the historical sites. The UN may be able to provide funding if asked. *Great for rebuilding the confidence of Haitians in their rich history. *Great as tourist attractions and therefore for the eonomy. *Great because in the process the history will be researched and documented.